Beyond Pittsburgh’s pretty downtown, transformation and momentum reign, with former industrial areas giving way to restaurants, shops and art venues. Click here to watch the just under 6 minute video. Pittsburgh’s transformation from steel and manufacturing to eds and meds is a well-known story that continues to attract national attention, this time from Time Magazine. Construction of 52 luxury townhouses is expected to start this summer in the East End’s Bakery Square 2.0 complex, bringing the first for-sale housing to an area where apartment, office, retail and tech development has blossomed. “It’s another piece of the puzzle,” said Gregg Perelman, CEO of Walnut Capital Partners, developers of the growing Bakery Square complex along Penn Avenue in Larimer and Shadyside. Perelman said the townhouse development will be called Bakery Village. Prices will start in the “mid-to-high $400,000 range,” Perelman said. “It’s the right price point for this market,” Perelman said. Protected bike lanes along Penn Avenue saw more than 24,000 bike trips in May, according to figures the Pittsburgh Downtown Partnership release Thursday. The bike lanes, installed in September 2014, eliminated a lane for vehicles with bollards along the route. Pittsburgh Downtown Partnership in mid-April installed three mechanical counters across the width of the bike lane on the 600, 900, and 1200 blocks of Penn Avenue to track usage. The Pittsburgh region’s job market roared ahead in April, posting the biggest monthly hiring spree in at least 25 years. The seven-county metropolitan area added 24,600 nonfarm jobs and the unemployment rate remained stable at 5.3 percent as more people began a job search, according to preliminary data the Pennsylvania Department of Labor & Industry reported Tuesday. It was the largest monthly gain on record since 1990, the earliest data available, and provided a nice boost heading into summer, PNC economist Kurt Rankin said. “This is about as good a sign as we could get for the state of Pittsburgh’s economy,” Rankin said. UPMC is offering buyouts to 3,500 of its older workers in a move to cut costs as the Pittsburgh hospital giant adjusts to slowing demand for hospital-based care. The nonprofit organization said Tuesday that it was offering the voluntary severance to employees who are 60 or older and have at least 10 years of service. The offer, which was made to 5.6 percent of UPMC’s total workforce, includes medical and dental benefits, severance pay and a one-time cash payment of $15,000, UPMC said in a statement. “This program both honors and respects long-term staff members who are ready to move to the next phase in life and, simultaneously, helps achieve cost-savings for UPMC by adjusting our workforce to meet the demands of the health care marketplace,” the statement said. 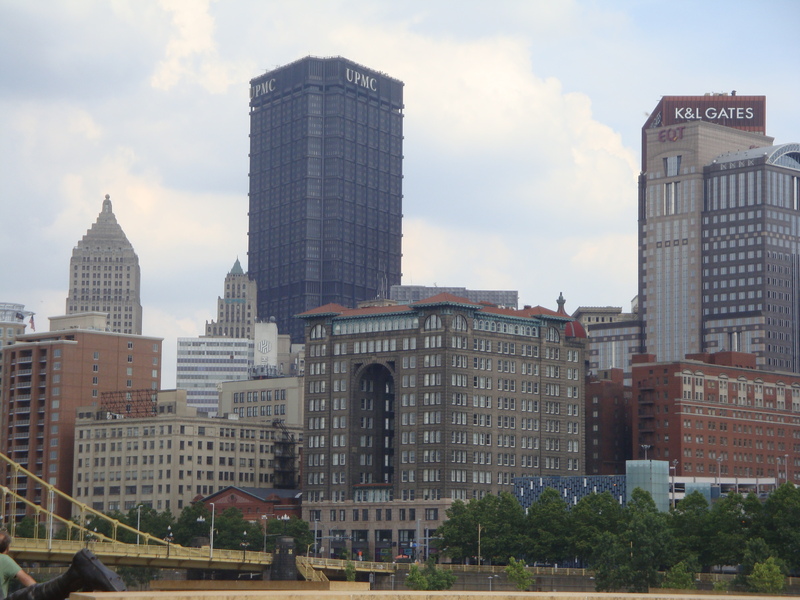 UPMC is the state’s largest private employer, with about 62,000 workers. Pittsburgh International Airport’s status as a former hub facility with space to spare helped draw OneJet, a new corporate jet carrier seeking to gain a foothold inside Concourse D.
OneJet, catering to business travelers on seven-seat Hawker 400s, launched between Milwaukee and Indianapolis in April, and Pittsburgh this month. A fourth destination will be announced within two months. Down the road, OneJet plans to add crews and maintenance operations in Pittsburgh. 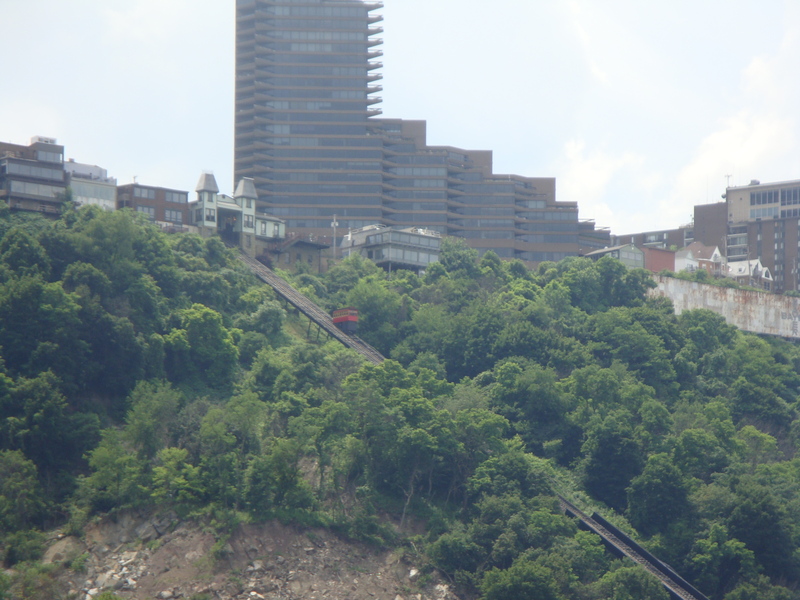 The sign in question is to the right of the tall building and the incline. Looks like a cement wall next to the trees on the cliff. Actually a billboard. That’s the plot Mayor Bill Peduto says his administration has foiled as it negotiates a new permit with Lamar Advertising for the company’s famous 32-foot-tall, 225-foot-long neon sign on Mount Washington, which has loomed over the Point since around the time of the 1929 stock market crash that triggered the Great Depression. Bayer, which for years had pushed for upgrades to the dilapidated sign that was covered with a banner during the G-20 summit in 2009 like an embarrassing piece of furniture, finally dropped its nearly 22-year lease of the sign last summer. Lamar pledged to overhaul it. During its lifespan, the sign has also been graced by the sponsorship of Iron City Beer and Alcoa, and displayed the time and the temperature. Mr. Peduto said Friday that the company is threatening to cease the improvements over his administration’s insistence that the sign not be used for advertising purposes beyond displaying a company name. Mr. Peduto said he was told his stance “killed” a deal with Giant Eagle to become the new sponsor. The county airport authority wants West Mifflin’s Allegheny County Airport to be a destination — but not for commuter flights. That sums up a meeting borough officials had Monday with new authority CEO Christina Cassotis that came 24 hours before a $1.5 million federal grant was announced for taxiway rehabilitation there. It dates back to Pittsburgh and McKeesport’s window to the world between 1931 and 1952, when commercial service moved from West Mifflin to what then was Greater Pittsburgh Airport, now Pittsburgh International. A New York developer unveiled plans today to convert the Allegheny Center mall on the North Side into a technology hub and campus to be known as Nova Place. The multimillion-dollar project being undertaken by Faros Properties will include an extensive renovation of the 1.2 million-square-foot complex, making it one of the largest redevelopment projects in the country, officials said. Work will include upgraded offices, collaborative workspaces, new restaurants, a fitness center, a conference center and improved common areas. In unveiling the changes, Faros announced that Innovation Works has signed a lease to occupy 12,000 square feet in the complex. The company will move from its current space in Pittsburgh to Allegheny Center next month and into permanent space in the fall. Pittsburgh’s bike share system will begin May 31, organizers announced Monday. The rental network of 50 stations across 11 neighborhoods will provide access to 500 bikes. Dubbed Healthy Ride, the system will be operated by Pittsburgh Bike Share, which was established in 2012 with the goal of starting a public bike sharing system. Rentals will be available for $2 per half hour. Monthly membership plans will cost $12 a month for unlimited 30-minute rides and $20 for unlimited 60-minute rides. Users can pre-register for free on the program’s website or at the rental kiosks at stations. Developers announced about three dozen economic development projects totaling $526 million in Pittsburgh’s Greater Downtown in 2014, capitalizing on dramatic growth in recent years, according to a report released Thursday. 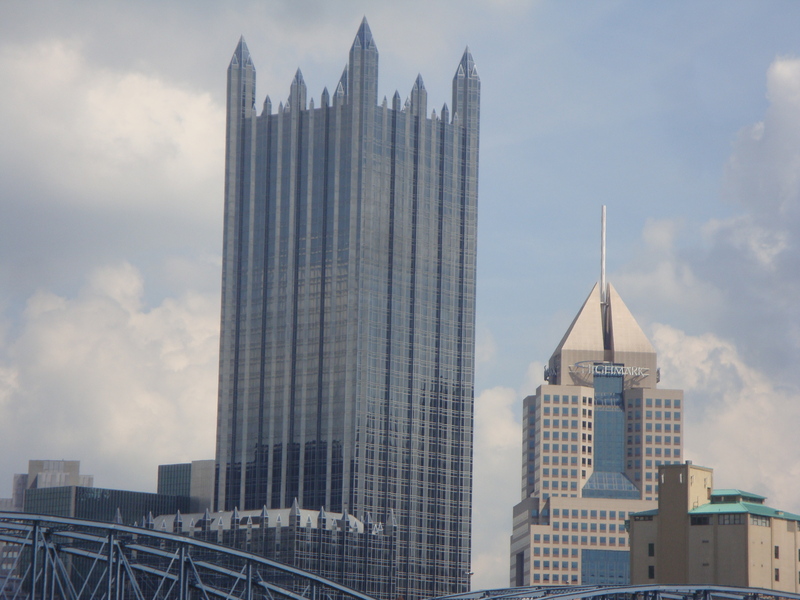 “With more than $5 billion of transformative investment in Downtown Pittsburgh over the last decade, Downtown is well-positioned,” said Jeremy Waldrup, president and CEO of the nonprofit Pittsburgh Downtown Partnership. No injuries have been reported in a freight train derailment in the Hazelwood neighborhood of Pittsburgh. The train went off the rails about 10:15 a.m. on tracks near Irvine Street, according to emergency dispatchers. About 10 freight cars derailed, and some of the cars blocked Irvine where the tracks crossed. The term, they say, implies what already exists in the community isn’t vital, and, therefore, doesn’t apply to the historic town. “Braddock isn’t what you might think it is. There are so many elements and varieties of colors and layers and things to see,” says Rice, a playwright who’s working with Carpenter’s Bricolage Production Company and Real/Time Interventions to bring her “Saints Tour” immersive theater experience to Braddock in May and June. The show is one of many efforts to draw outsiders in while the community continues to move forward from its unstable past. Salvation sits just across the railroad tracks from Alex Bodnar’s Hungarian restaurant on Second Avenue in Hazelwood. It doesn’t look like much now, just acres and acres of vacant land, graded but idle. But the redevelopment potential of the 178-acre site has raised the hopes of the struggling city neighborhood. “The good Lord is answering my prayer,” Mr. Bodnar beamed as he stood in the kitchen of his restaurant preparing a bowl of goulash. For much of the last century, the Monongahela riverfront site has been closely tied to the neighborhood’s fortunes. For decades, the massive coke works that dominated the land brought prosperity. Jobs were plentiful and Second Avenue teemed with grocery stores, shops and restaurants. Live high definition camera footage of peregrine falcons (Dorothy and E2) and new chick at the University of Pittsburgh’s Cathedral of Learning. 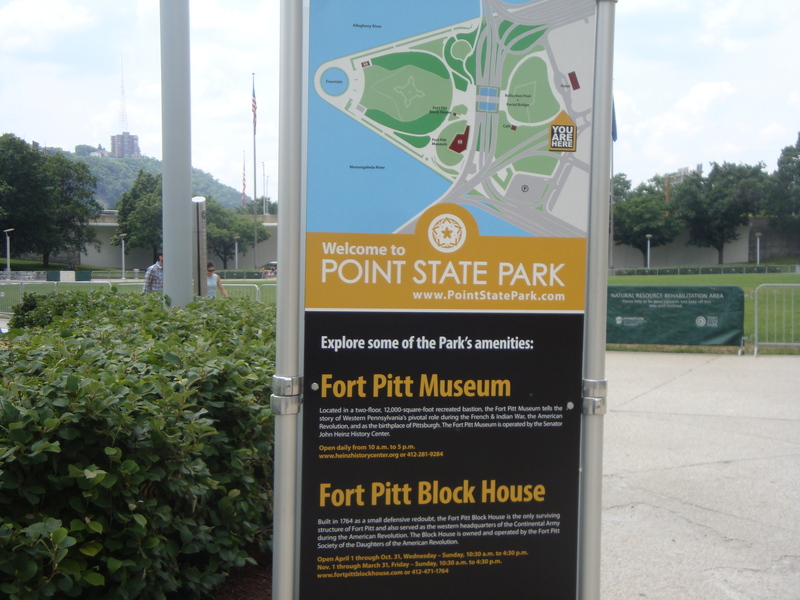 Pittsburgh’s riverfront parks system is not only a haven for rest, relaxation and recreation but an economic powerhouse that has helped to generate billions of dollars in development over the past 15 years, a study has found. In that time, the $130 million invested in the 13-mile Three Rivers Park has helped to produce nearly $4.1 billion in development on and near the riverfront, according to the study by Sasaki Associates, a Massachusetts-based architectural and planning firm. In addition, the study, commissioned by Riverlife and to be released today, determined that since 2001, property values along that stretch have jumped by 60 percent compared with 32 percent in the rest of the city. 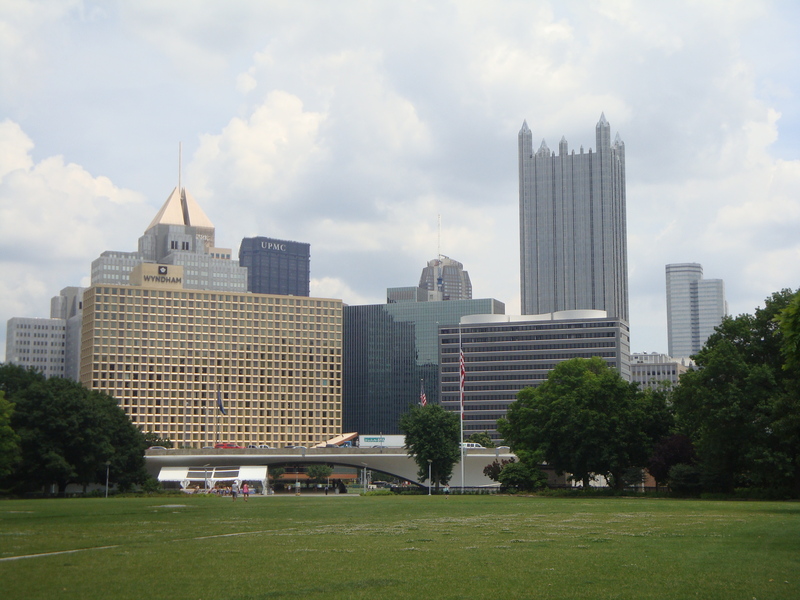 “The pattern in Pittsburgh and in other cities across the country is clear: properties with close proximity to high quality park infrastructure increase in value more than properties that do not,” the report stated. Mayor Bill Peduto’s newly named Affordable Housing Task Force has daunting numbers to chip away at. For starters, a shortage of 21,000 homes in Pittsburgh that are affordable enough for families of four whose income is $24,000, which is 30 percent of the area’s median income for that size household. The has just issued a report on a situation it expects to escalate as rents rise in more neighborhoods. Mr. Damewood researched and prepared the report for the Housing Alliance’s Building Inclusive Communities work group. It recommends the city establish inclusive zoning, assuring a percentage of affordable units in any development, either by mandate or incentives to developers, such as land use approvals, height density bonuses and additional build-outs at no extra cost. In flat markets, a community land trust or land bank can preserve properties for affordable development. Allegheny Health Network proposes investing part of $175 million from Highmark Inc. in renovations and technology upgrades at its Allegheny General and West Penn hospitals, anticipating that they will accommodate more patients when Highmark insurance subscribers lose in-network access to UPMC next year. The Highmark-owned hospital system would build outpatient medical centers and expand emergency, trauma and women’s health services to underserved parts of Western Pennsylvania as part of a spending plan that executives say will help it better compete with UPMC. UPMC Treasurer Tal Heppenstall Jr. said Allegheny Health Network is in worse financial condition than Highmark has reported and chided the company for its “profound lack of financial transparency.” He said it appears Highmark is hiding huge losses in “sporadic, fragmented and murky” financial statements. Archbold, who was hired as CEO in August to turn around a yearlong slump in sales and profit, said he mistakenly cut the Downtown-based vitamin and supplement retailer’s advertising budget by $5 million. Not a factor in the decline, he said, was negative publicity from a probe by the attorney general of New York that questioned the purity and authenticity of some herbal supplements sold by GNC and other retailers.